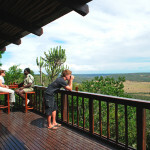 This is a perfect safari location for families. 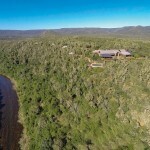 Accommodation is in three lodges. 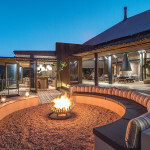 The largest, Main Lodge, has log cabin style accommodation with large central dining facility and boma (open fenced area for wonderful evening meals around a log fire) and a great infinity pool looking over the characteristic Eastern Cape bush with views across the Bushman’s River and the Indian Ocean in the distance. 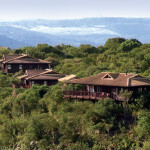 Ukhozi Lodge is smaller; just 10 log cabins, and are more refined lending itself to older families. 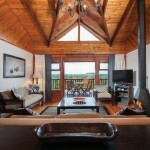 River Lodge is more exclusive with just 5 luxurious suites and is reached by boat for an even more exotic ‘feel’. 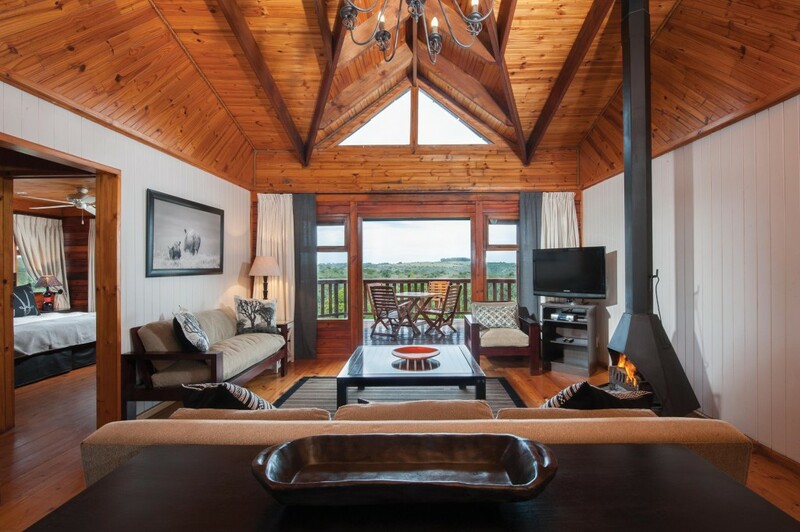 The Homestead is for families who want the seclusion of their ‘own’ accommodation complete with their ‘own’ staff. 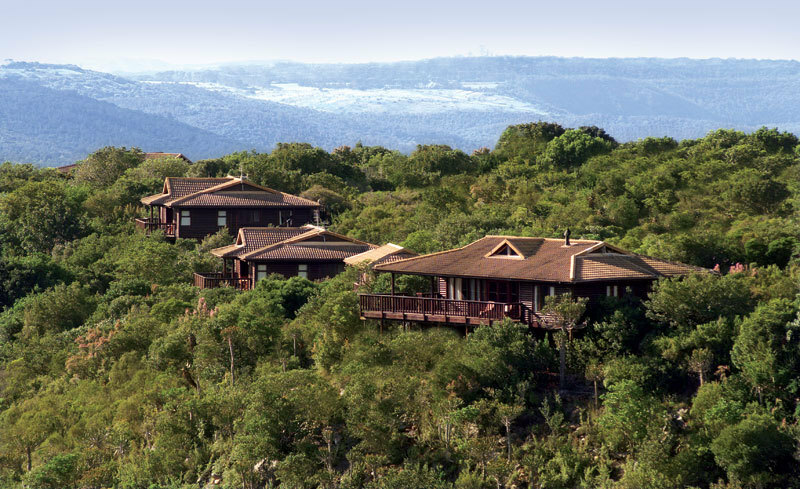 The Game Reserve is divided into two. 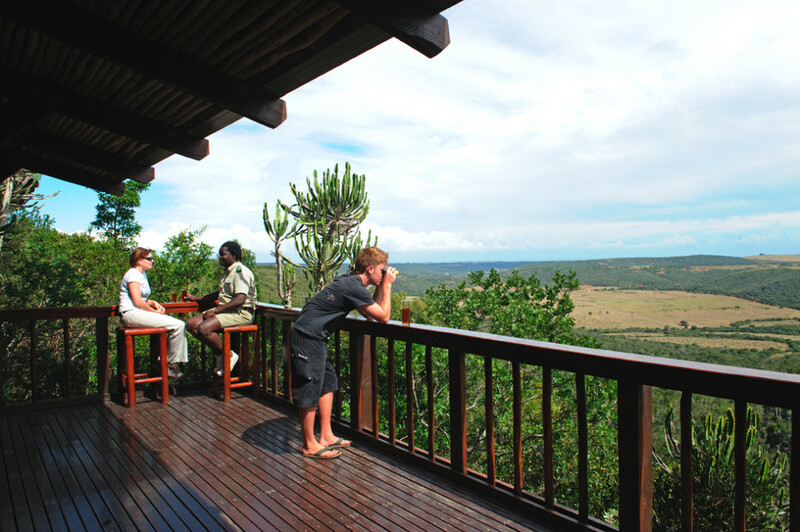 The area that includes the three lodges does not have the large predators, which means that walking safaris are arranged with children in mind for a special up close encounter with a wide range of plains animals. 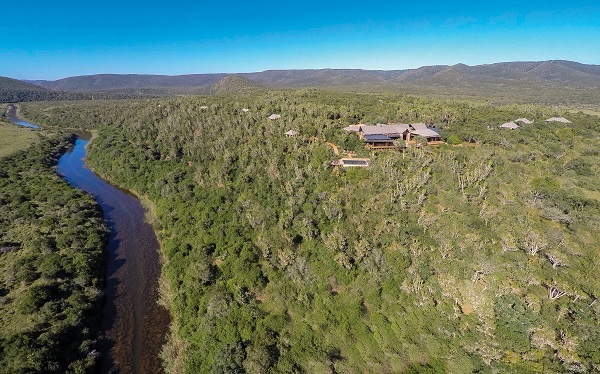 The lodge also has a boat for river-based safaris on the Bushman’s River. 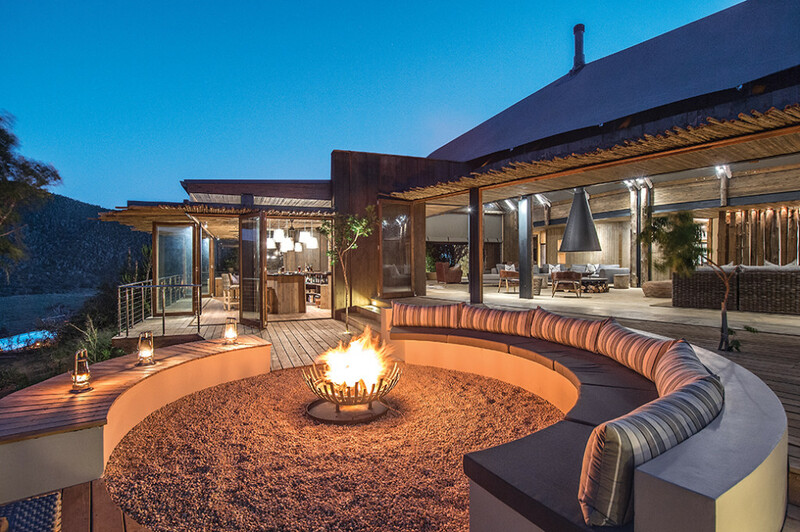 Game drives into the other part of the reserve will provide guests with memorable encounters with the ‘Big Five’ including Lion, Elephant Rhino and Cape buffalo. The remaining member. Leopard, are endemic to the region but tend to be very shy so sightings happen only occasionally. 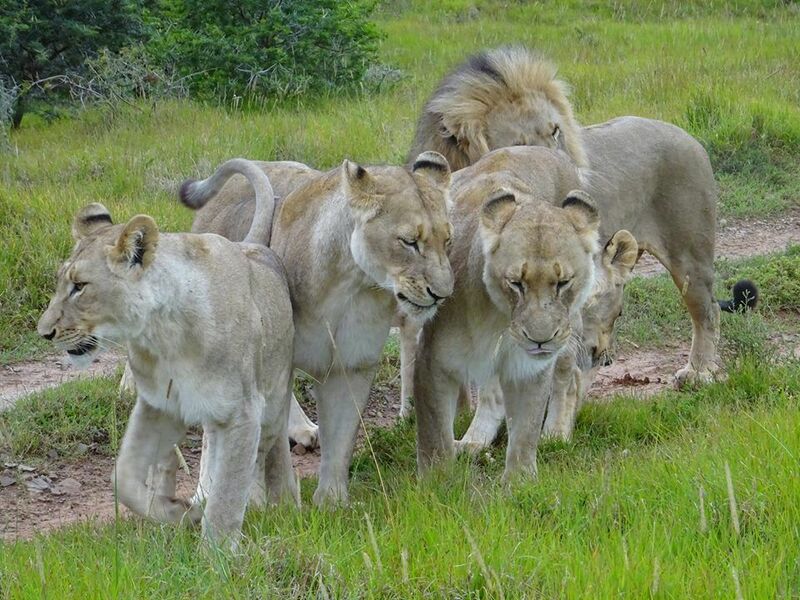 The game is managed on this reserve and we understand that the big predators are fed by the management. 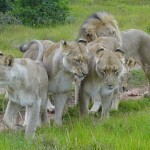 Although reducing the authenticity of the ‘Safari Experience’, this will help to conserve the usual prey of the big cats.